Dernière modification par Eyeshield21 le 08 juin 2018, 12:03, modifié 2 fois. chances are, the one that would be the easiest to identify is Court Kings Basketball. The colorful, captivating, art-inspired beauty stands out that much. It’s a perennial collector favorite that provides a colorful punch to the early season NBA lineup every year. to offer a fresh take on one of the hottest rookie classes in years. (10 cards per box, 16 boxes per case) will deliver one autograph, one memorabilia card and two Rookie Cards. of the game and four distinct Rookie Card variations with unique designs and varying print runs. and dual-signed autographs in the Fresh Paint Duals chase. Emerging Artists, Dieci Migliore and Blank Slate. - The return of the Art Nouveau memorabilia insert featuring jumbo swatches that include an SSP nameplate version. 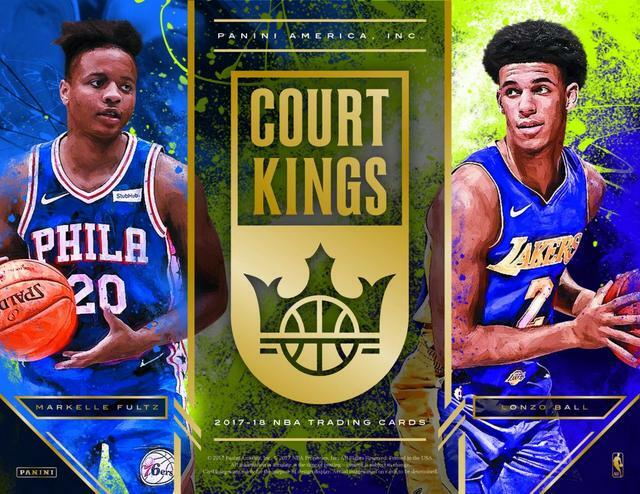 as 2017-18 Court Kings and you do not have to be an art expert to appreciate the beauty of the cards inside each box. each box along with two rookies and a box topper. With vivid and bright designs, the 2017-18 Court Kings base set is something to behold. and featured gold foil accents atrend that appears to be carrying forward. to collect that are based on scarcity. a large base set as it includes tiers of rookie cards, starting with Rookies I and going up to Rookies IV. Every rookie player has a total of four cards, each with a different rarity. Displaying swirls of color, Aurora returns as a short-print insert that averages one per case. Additionally, the Blank Slate, Dieci Migliore, Emerging Artists, and Points in the Paint sets make their Court Kings debut. and the 2017-18 edition will be no exception to that trend. in the Pain, Emerging Artists, and Blank Slate. which is called Dieci Migliore that will feature 10 of the world’s best basketball players. Each box of 2017-18 Court Kings will also contain an over-sized Box Topper card that measures 5″x7″. in Panini products like Kobe Bryant, Kevin Durant, Kyrie Irving, Damian Lillard, and Karl-Anthony Towns. while Fresh Paint Duals combines two rookie autographs. Heir Apparent is another on-card autograph option featuring first-year stars. and includes an Art Nouveau Jumbo Nameplate SP version. Finally, every hobby box contains a 5x7-inch Box Topper. Karl-Anthony Towns, Kevin Durant, Kobe Bryant, or Kyrie Irving. from the past and present on cards which stand out visually. Just one memorabilia collection for 2017-18 Court Kings was announced on the product information sheet. Art Nouveau returns for another season, but it will have a rare Jumbo Nameplate variation. As for the autographs, there is a strong rookie focus in Fresh Paint that are signed on-card. Fresh Paint Duals are even more impressive as a pair of freshmen are in the spotlight. Heir Apparent will also feature the Class of 2017.
with extra autographs and memorabilia cards. Rookies will have four types of RCs in this one with different designs and tiered print runs. Heir Apparent, Fresh Paint and Fresh Paint Duals. Andrew Wiggins, Damian Lillard and Kyrie Irving. and those will have a rarer nameplate version. and focus on 10 of the best in the league. Emerging Artists and Blank Slate. … Just like last year, boxes carry a suggested retail price of $72. Bringing vibrant designs, 2017-18 Court Kings continues to stand out with the brand's unique style. Every hobby box delivers one autograph and one memorabilia card, plus a jumbo topper. Although the box format remains the same as last year, 2017-18 Court Kings NBA offers new inserts to chase. There are also random hot boxes that add extra hits. with rookie content, vivid designs and outstanding autograph and memorabilia cards! for the rare dual-signed Fresh Paint Duals! from stars such as Kyrie Irving, Kevin Durant, Damian Lillard, Kobe Bryant and Karl-Anthony Towns! - Find one insert per box! Be on the hunt for the short-print Aurora cards that feature a burst of color! - Also try and find the all-new inserts Points in the Paint, Emerging Artists, Dieci Migliore and Blank Slate! Court Kings brings collectors a slew of vivid, bright designs that enhance the aesthetic of the NBA game. Look for four rookie card variations, each with unique designs and varying print runs! in the on-card autograph set Fresh Paint! All boxes contain an oversized Box Topper insert. and legends such as Kobe Bryant, Kevin Durant, Pau Gasol, Andrew Wiggins, Damian Lillard, and Kyrie Irving! with superstars that transcend the game! Find an authentic memorabilia card in every box of Court Kings on average! The Art Nouveau insert features jumbo swatches that include a super short-print nameplate version! in the world in the ultra-rare Dieci Migliore! - Fresh Paint Dual & Single – Find the freshest rookie autographs in this ON-Card autograph set! and legends such as Kobe Bryant, Kevin Durant, Pau Gasol, Andrew Wiggins, Damian Lillard, & Kyrie Irving! - Heir Apparent – ON-Card autographs of the 2017-18 NBA Rookie Class! - Art Nouveau Jumbo Nameplate – Features JUMBO swatches that include a super short-print nameplate version! - Aurora – Loaded with superstars that transcend the game! – (1) in Every Case! - New! – Dieci Migliore – Find 10 of the best players in the world in the Ultra- Rare Dieci Migliore! - Base Set – Court Kings brings collectors a slew of vivid, bright designs that enhance the aesthetic of the NBA game. - Look for Four rookie card variations, each with unique designs and varying print runs! We’ll have more on 2017-18 Court Kings in the coming weeks right here on The Knight’s Lance. Dernière modification par Eyeshield21 le 13 mars 2019, 12:28, modifié 4 fois. with collectors all these years later. It’s the colors . . . the expressionistic swagger . . . the bold strokes . . . the uniquely different aesthetic. and rare chases don’t hurt, either. That’s the formula that has worked so well throughout the product’s existence. That’s the formula that returns next Wednesday with the release of 2017-18 Court Kings Basketball. one memorabilia card, two Rookie Cards and one oversized Box Topper in every hobby box. 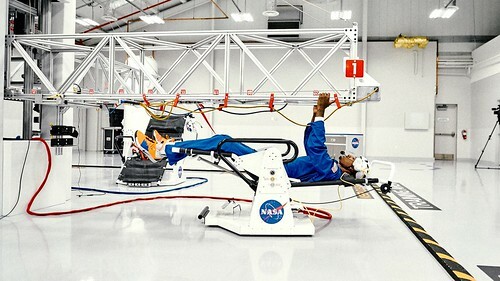 an additional autograph or memorabilia card. the first dual autographs of the class in the Fresh Paint Duals insert. Enjoy the early look and stay tuned to The Knight’s Lance for continued coverage. Dernière modification par Eyeshield21 le 08 juin 2018, 12:05, modifié 1 fois. only one thing to diehard hoops collectors: It’s time to get down the art of the matter. from the top rookies, the bold Court Kings product is built to make an impression. And once again this season, it will. by card through five boxes of the product, most certainly will. Enjoy the preview. Dernière modification par Eyeshield21 le 08 juin 2018, 12:04, modifié 1 fois.